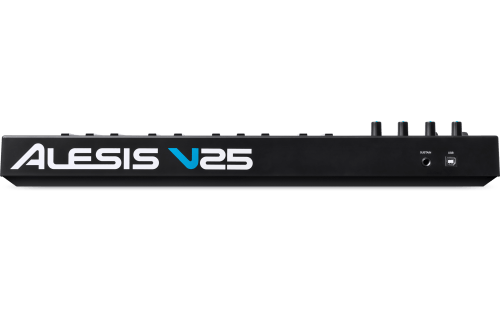 Alesis V25 is a powerful, intuitive MIDI controller. 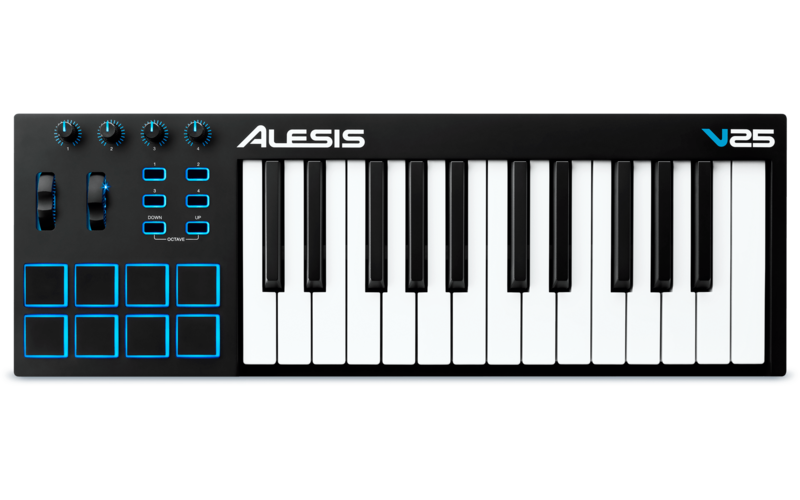 It lets you take command of your music software with a series of pads, knobs, and buttons. 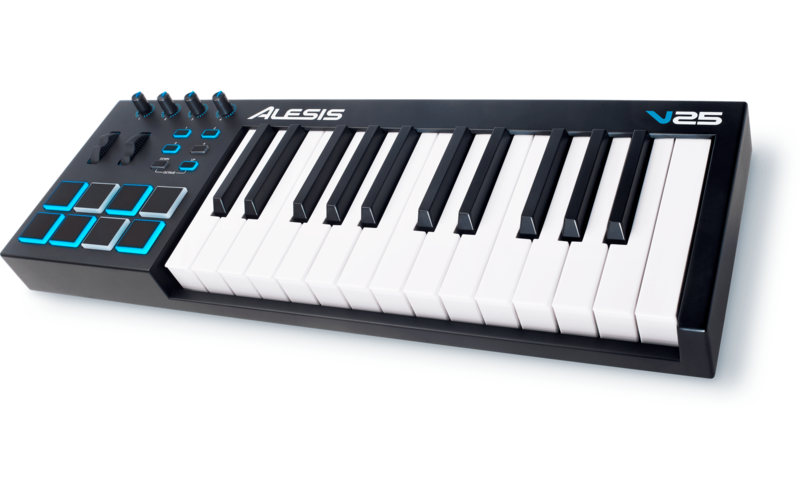 With 25 full-size velocity-sensitive keys and Octave Up/Down buttons, you can expand the keyboard to the full melodic range and play bass lines, chords, and melodies. IN addition, V25 also features four assignable knobs and buttons for manipulating effect plugins and virtual instruments: open and close filters, adjust volume levels, activate effects, tweak parameters, and more. Also eight velocity-sensitive backlit pads allow you to launch clips or finger drum with exceptional response. Meanwhile, pitch and modulation wheels expand the expressive capabilities of your performing. 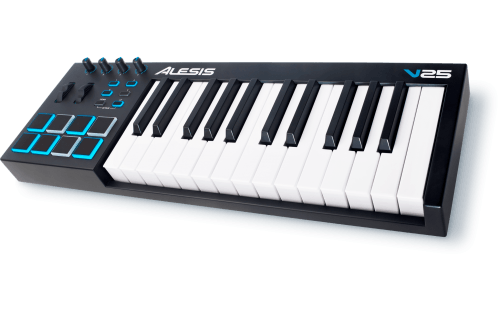 Designed to seamlessly and effortlessly integrate with your music software. 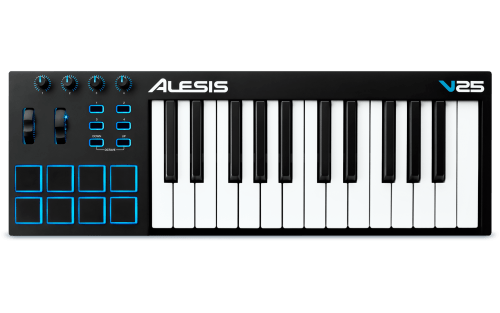 A single USB connection to your Mac or PC provides both power and MIDI functionality. This allows you to plug right into your computer and start making music. 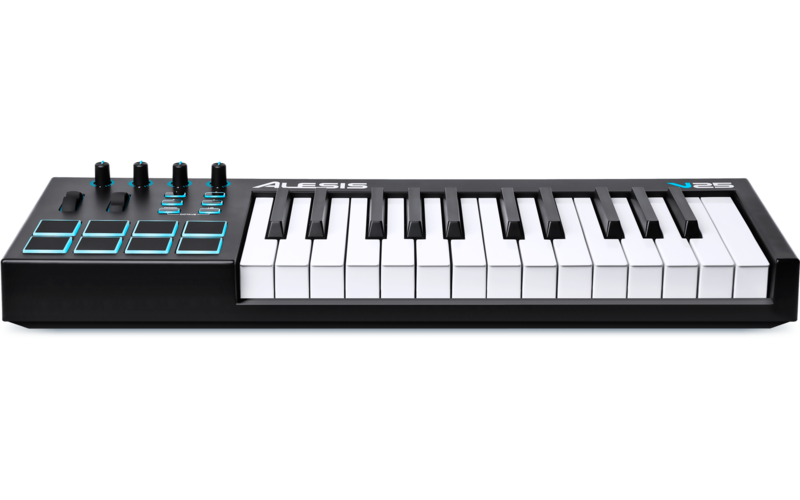 Additionally, All the knobs, buttons, and pads illuminate to provide real-time visual feedback and are laid out for an intuitive workflow. 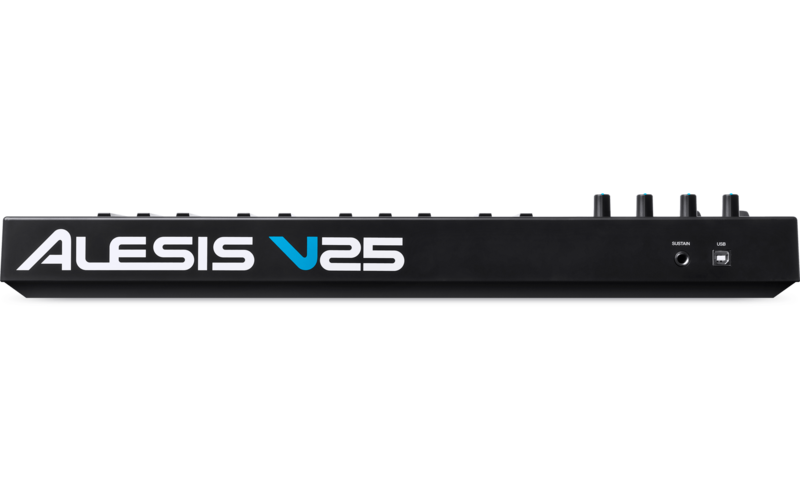 Plus, V25’s compact design makes it easy to take this powerful MIDI controller on the road or implement it into any sized studio. Bundled with Ableton Live Lite 9 and Xpand!2 by AIR Music Tech: two dynamic pieces of software that enable you to record, produce, and perform with your computer. 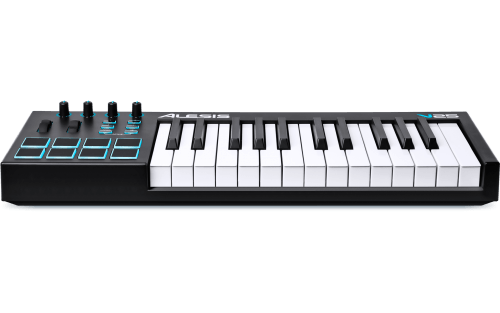 Ableton Live Lite 9 is a fluid audio/MIDI environment that enables you to spontaneously record, remix, improvise, and edit musical ideas on the fly. 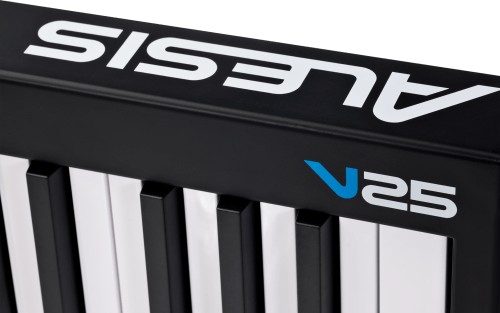 Xpand!2 is an advanced virtual instrument that comes with a collection of premium sounds, ranging from acoustic instruments to futuristic synthesizers. Together, these powerful music platforms allow you to create or perform music with V25 right out of the box.